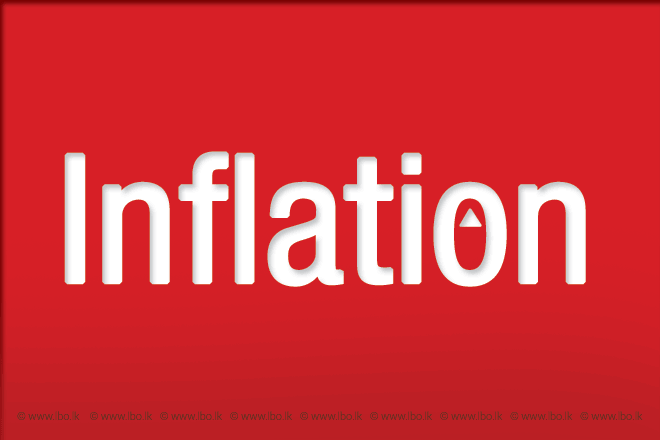 Jun 22, 2018 (LBO) – Sri Lanka’s headline inflation measured by National Consumer Price Index (NCPI) rose to 2.1 in May, the Census and Statics Department said Thursday. The NCPI decreased to 1.6 percent in April, lowest since February 2016, from 2.8 percent in March 2018. Compared to month-on-month changes, NCPI in May 2018 has increased to 124.3 from the 122.9 reported in April 2018. This shows an increase of 1.4 index points that is 1.1 percent points in May 2018 as compared to April 2018. This month-on-month change was contributed to by increases of the expenditure value of food items by 0.55 percent and non-food items by 0.61% respectively. The increases in the expenditure value of food items were reported for vegetables, fresh fish, big onions, limes, potatoes, chicken, eggs, dried fish, green chilies, ginger, infant milk powder and milk powder. However, decreases in the expenditure value of food items were reported for coconuts, banana, papaw, mangoes, garlic, rice and gram. The increases in the expenditure value of non-food items in May 2018 compared to the previous month was due to the expenditure value increases in the groups of ‘Transport’, ‘Housing, Water, Electricity, Gas and Other Fuels’, ‘Health’, ‘Miscellaneous Goods and Services’, ‘Recreation and Culture’, ‘Furnishings, Household Equipment and Routing Household Maintenance’ and ‘Clothing and Footwear’. In the ‘Transport’ group expenditure value increase was mainly due to an increase in the prices of fuel (petrol and diesel) with effect from 11 May 2018 and in the ‘Housing, Water, Electricity, Gas and Other Fuels’ group expenditure value increase was mainly due to an increase in the prices of kerosene oil and LP Gas with effect from 11 May 2018 and 28 April 2018 respectively. A decrease in expenditure value was reported for the group of ‘Alcoholic beverages, Tobacco and Narcotics’ compared to the preceding month. Meanwhile, the expenditure value of the ‘Communication’, ‘Education’ and ‘Restaurants and Hotels’ groups remained unchanged during the month.